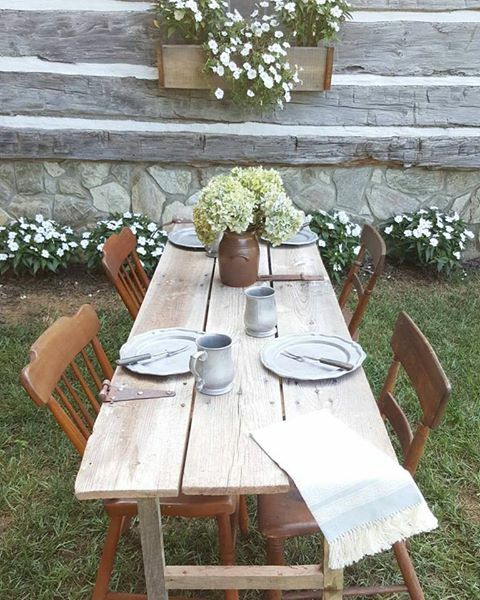 I have been wanting a farm-style table for a very long time. I have looked around, and all the ones that I was able to find were extremely expensive. 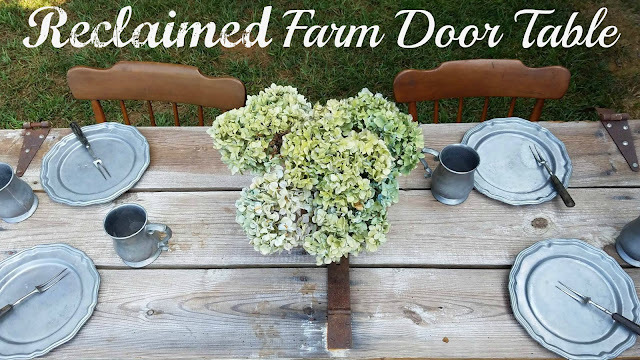 A few weeks ago, we managed to get an old farm door from an auction sale, and we decided to attempt to turn it into a table, but not just any table. We made a table with folding legs for easy storage. As you can see, when the door is forward facing you cannot even tell it is a table! 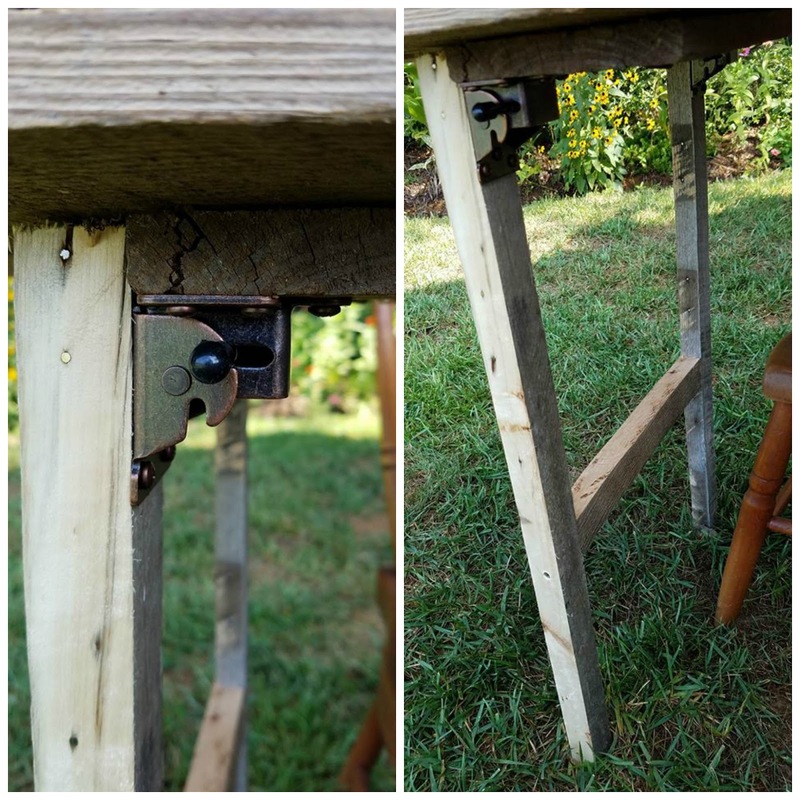 We left all the original hardware on it, and used a pallet to create the legs. (Not just pallet slats, these are the support pieces inside the pallet that are much more sturdy.) 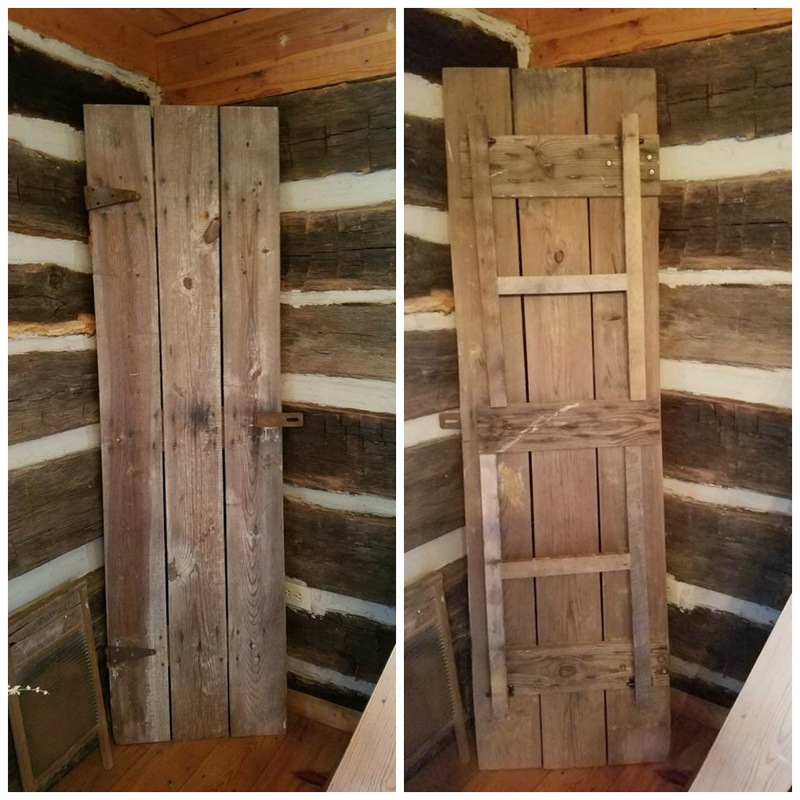 This means all the wood used is reclaimed, the only true purchase (other than the door itself) will be the brackets for the legs. I love it when you can give an old piece of wood a new life. These folding leg brackets are available on amazon (here), and easy to install. Another piece of wood attached across the back side of the door will add additional stability if your door needs it to work as a functioning table. So simple, but I think it is beautiful. Plus, I love how the original hardware adds to the character of the table.